The New Reaction Aquarium Filter by JBJ SALE. This Filter includes a UV sterilizer for keeping your fish in optimal shape and destroying harmful bacteria and parasites. 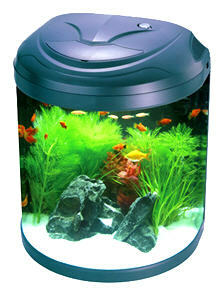 There are many types of fish tank filters that can be used based off of your needs. 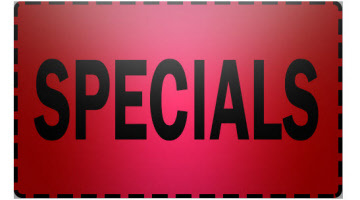 Canister filters such as the JBJ EFU lines offer multiple benefits compared to a commercial HOB or hang on back filter. Canister filters will be under your tank typically in a stand or on the floor. The filter media provides a few types of filtration to keep the water clean. We sell protein skimmers for the Nano Cube as well which remove accumulation of excess gunk and protein from saltwater fish tanks only. This does nothing for a freshwater aquarium. The MSS surface skimmer however can be used on both tanks and acts as a prefilter and also helps make sure small fish do not get sucked in your overflow filters. These were first seen on the Nano Cubes. 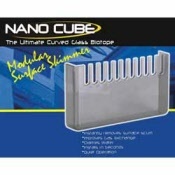 JBJ Nano Cube MSS modular surface skimmer instantly transforms your intake grill to an overflow box.